Over the past few years, I have been deeply concerned at the monumental environmental threats faced by the Himalayas and, Ganga in particular. These two have remained our cultural icons since times immemorial. Despite its haloed status, it is today the world’s fifth most polluted river, endangering humans and the fauna endemic to it. The Ganga Dolphin and Indian Gharial, commonly found in the river, are on the verge of extinction. During our padayatra, we came across rivers whose state is similar or more alarming than the Ganga. Everywhere, we found rivers reduced to a trickle, having graduated into dumping grounds for sewerage and industrial waste. While the Government has had various river cleanliness missions in place for the last 30 years, the pollution has grown manifold proving that all efforts in this direction have come to nought. I believe that true sustainable living begins with compassion, and from compassion comes the ability to share responsibly. We all share the environment and it is only with our participation that steps can be taken to rectify the impending ecological doom. Through our initiatives, we inspire harmony with nature to energise our immediate eco-systems and reduce our personal footprints. 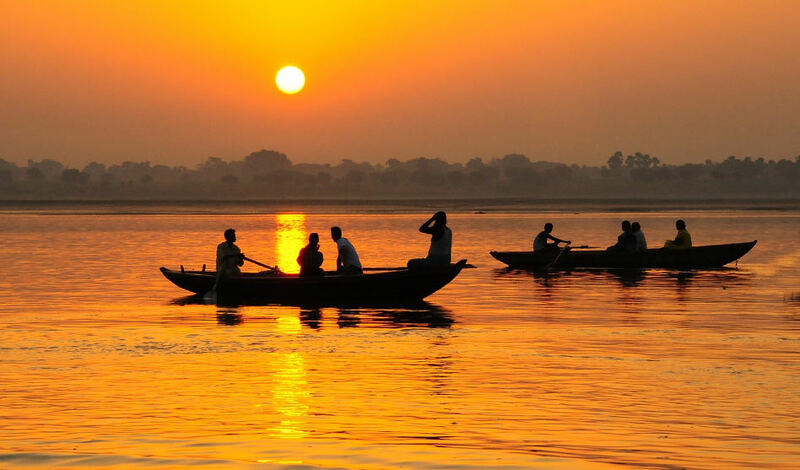 With its mystical connection, Ganga has become the consigning point for everything material. The sore truth is, at its most holy points along the 2525 km course, the river is also the sole recipient of the respective city’s sewerage, almost 13 billion litres every year. Add to this, millions of litres of industrial effluents generated by hundreds of factories, and the run-off from chemical fertilizers and pesticides from hectares of agricultural land served by the Ganga. The condition of the Ganges is also a result of the religious significance attached to it. We consider the Ganga in a maternal context—terming it Ganga Maiya. Its rampant pollution is certainly a desecration of this sacrosanct sentiment. At some level, it is important to tone down our spiritual expectations from Mother Ganga, and instead focus on our natural duty to preserve this vital lifeline. A dedicated campaign preserving religious sensibilities while driving home a message of the river’s conservation is badly needed. Legislation for safeguarding our rivers is also the need of the hour. Strict implementation of this will prevent effluent pollution by industries and diversions of water by vested interests. The youth of this country are key to this national mission. I foresee a dedicated, well-coordinated youth mission—a Ganga Corps—on the lines of the NCC, that will involve our youth to build a systematic awareness in the society, help monitor local effluent-generating agents and work on the ground in an organized manner to help clean the rivers. This will add considerable impetus to the efforts by the Government, deriving faster results.